The second fighting game in the official series. Now with improved gameplay and also more user-friendly mechanics. 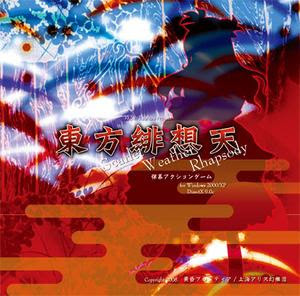 Here it is, Touhou Scarlet Weather Rhapsody (aso known as Hisouten). 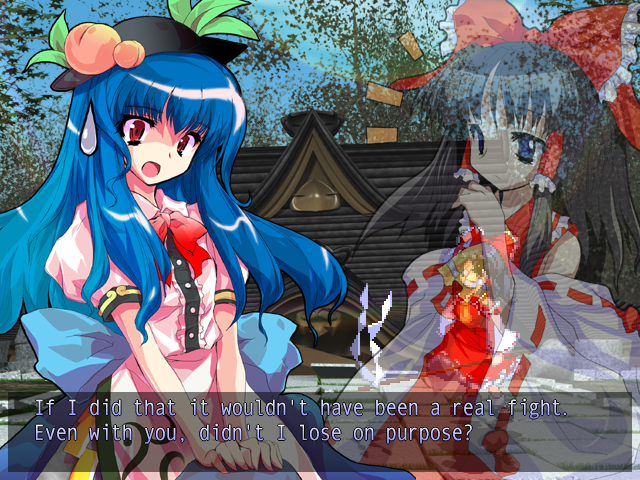 This game still uses sprites in Touhou 7.5 but also have new characters and also spellcards. There are some characters that need to be unlocked. 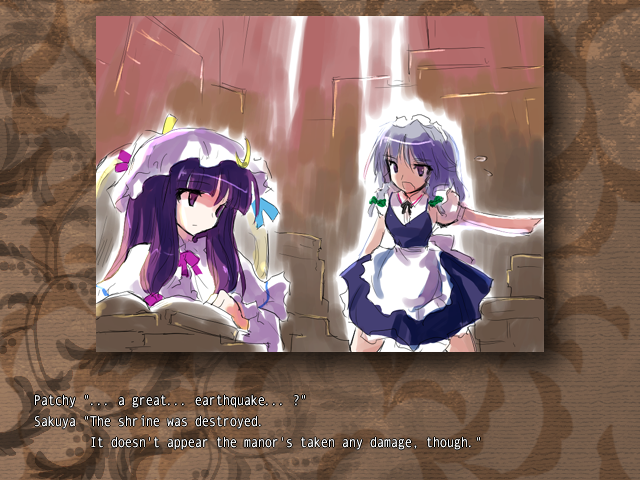 The story happens in summer of Gensokyo when Hakurei Shrine was destroyed suddenly in an earthquake. 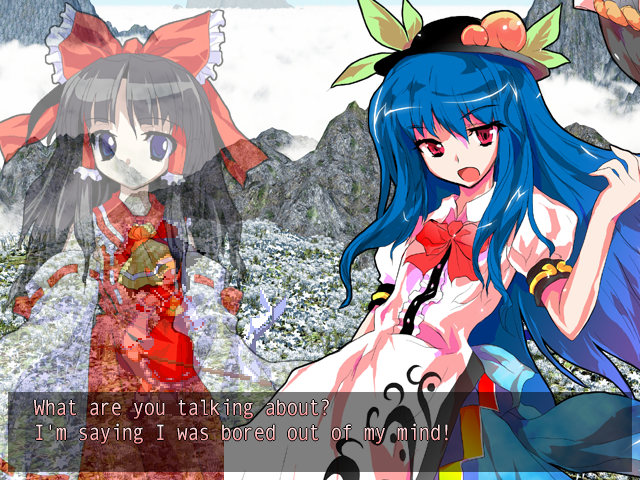 Not only that, throughout Gensokyo is having weird weather changes where different places have different weathers. such as hailstorm, snow, mists and lots more. 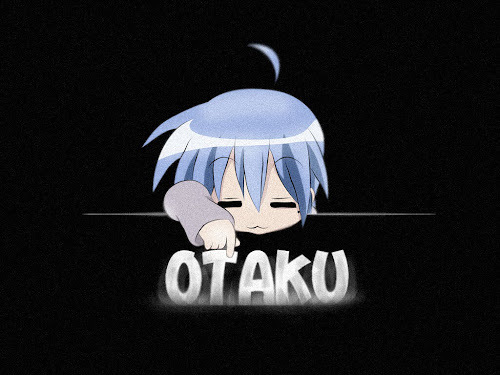 Thus, each main character conducts their own research to find that the culprit is Tenshi Hinanawi a celestial up in the heaven just want to have fun aside from boredom living in the heaven. 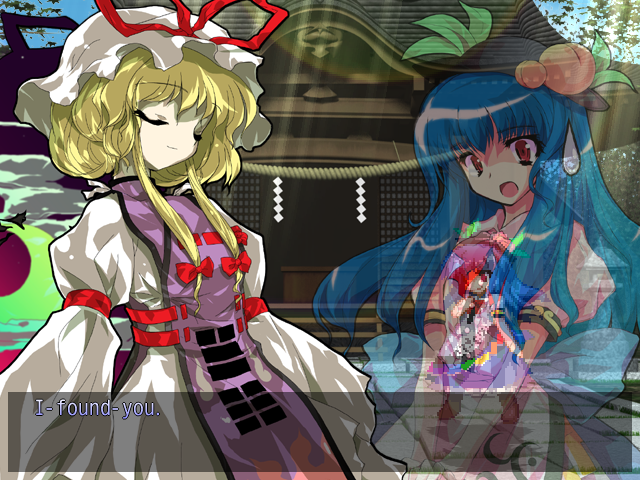 For the mechanics of the game, it is made much simple compared to touhou 7.5 for melee attacks where a full melee combo now uses only a set of button "z". Spirit attacks are basically uses the same buttons and also have been made simpler to execute with no range requirements. Another changes is that the spirit energy of the player is now in form of 5 spheres where the characters in game now can have the spirit spheres to break up 5 times where in previous games the player has only 1 bar. Other than that, the game now has the "20 card deck" system where player can insert variety of cards to use in battle. The cards consists of system cards, skill cards, spell cards. System and skill cards usually consumes 1 card where spell cards have range from 1 card to 5 cards slot depending on the damage it can cause. As example, lower level spell cards like master spark will definitely consumes lower number of cards than Final spark, the stronger version of master spark. The amount of card it consumes will be shown in game by how many cards will glow upon selecting the card. There are cards that require to be collected but it should not be a problem because the card drops very easily after abttles. New to this game, the battle now has weather system where during the battle, a specific weather is shown from time to time. However, the effects such as bonuses or drawbacks of the weather only applies in arcade or versus mode and not in story mode. I find this game is very interesting and also well made. Not only this game is easy to understand, it also can be quite challenging when taking the higher difficulties such as lunatic mode. Though some spell cards might look unfair, our characters also have spell cards that are very strong to beat them. It is shown in the videos above. There are communities that held up a tournament annually despite being an old game. 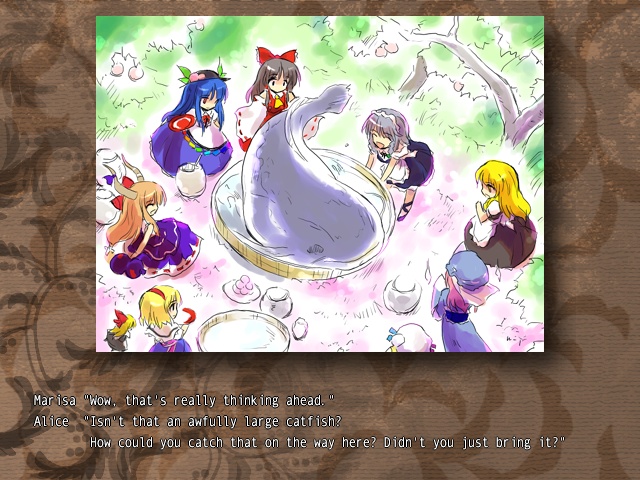 This game also have another expansion to it later as Touhou 12.3. That's it for this game, Next will be about Touhou 11. Stay tuned!